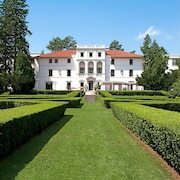 Situated on a lake, this hotel is within 1 mi (2 km) of Smith Center for the Arts and Hobart and William Smith Colleges. Seneca Lake State Park and Seneca Lake Sprayground are also within 3 mi (5 km). 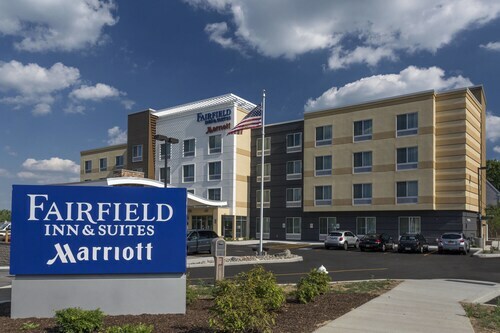 Situated near the boardwalk, this hotel is within 3 mi (5 km) of Hobart and William Smith Colleges, Ravines Wine Cellars on Seneca Lake, and Seneca Lake State Park. Ventosa Vineyards and Billsboro Winery are also within 6 mi (10 km). 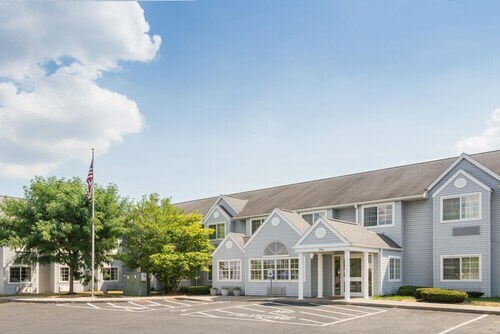 Situated in Geneva, this spa inn is 1.6 mi (2.6 km) from Hobart and William Smith Colleges and 3 mi (4.9 km) from Billsboro Winery. Seneca Lake State Park and Ventosa Vineyards are also within 6 mi (10 km). 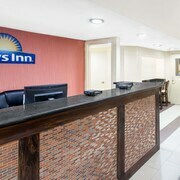 Situated in Geneva, this hotel is within 1 mi (2 km) of Hobart and William Smith Colleges and Smith Center for the Arts. Ravines Wine Cellars on Seneca Lake and Seneca Lake State Park are also within 3 mi (5 km). 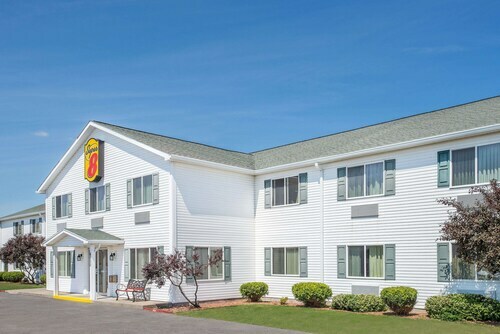 Situated in Geneva, this motel is 1.2 mi (2 km) from Hobart and William Smith Colleges and within 3 mi (5 km) of Seneca Lake State Park and White Springs Winery. Roy's Marina and Ventosa Vineyards are also within 6 mi (10 km). 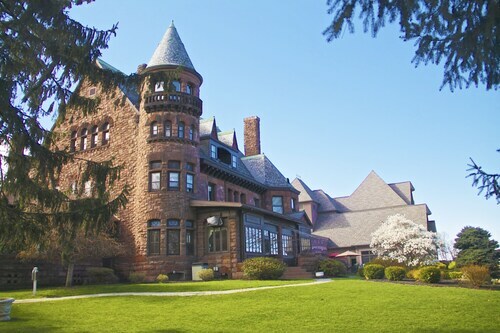 Situated in the suburbs, this hotel is within 2 mi (3 km) of Hobart and William Smith Colleges, Ravines Wine Cellars on Seneca Lake, and Smith Center for the Arts. Seneca Lake State Park and White Springs Winery are also within 3 mi (5 km). How Much is a Hotel Room in Geneva? Hotels in Geneva start at $57 per night. Prices and availability subject to change. Additional terms may apply. If you're journeying through Seneca Lake and get struck by the urge to spend some time in Geneva, you would be wise to book in advance through Travelocity to make sure you secure the ideal place to kick up your feet. Geneva features 9 hotels just a short drive from the downtown area. 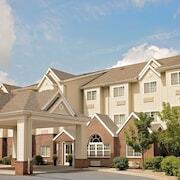 Geneva's city heart is within roaming distance of hotels like Ramada Geneva Lakefront and Americas Best Value Inn. 1 mile (2 kilometers) away from the heart of Geneva is the Americas Best Value Inn. 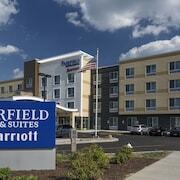 This hotel is a an excellent option for those looking for more humble lodgings. 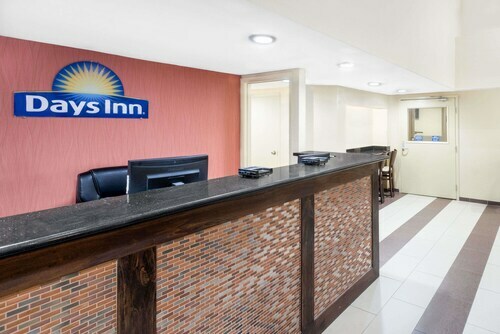 If you are after another budget option, you may like to look into the Days Inn Geneva. The Wagener Estate Bed & Breakfast can be found about 13 miles (20 kilometers) from the center of Geneva. On the other hand, the Finger Lakes Bed and Breakfast is located 13 miles (21 kilometers) away. 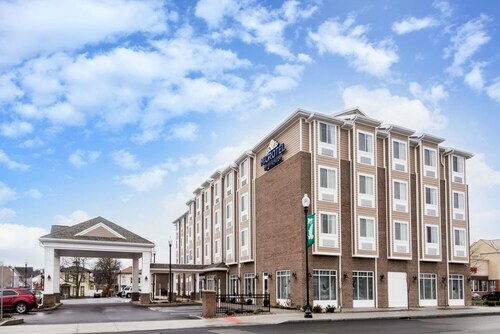 More hotel and apartment options worth looking into are the Hampton Inn Seneca Falls as well as the Holiday Inn Express Canandaigua - Finger Lakes. If you can spare the time, adventurous travelers could explore more of Finger Lakes Region. Explore the terrain of Finger Lakes Region's lakes. You could also head to the region's craft workshops and open-air markets. Common things to do in this part of United States of America include cross-country skiing. Are you looking for things to do? You could spend a few hours visiting New York Chiropractic College and Cayuga Lake State Park, in Seneca Falls, 12 miles (20 kilometers) to the northeast of Geneva. 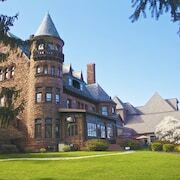 Some Travelocity-listed Seneca Falls rooms include the The Gould Hotel and John Morris Manor Bed & Breakfast. 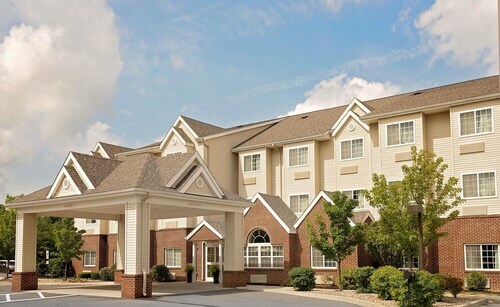 For another option, stay in Penn Yan, 12 miles (20 kilometers) to the south of Geneva, where you can pick from the Best Western Plus Vineyard Inn & Suites and Microtel Inn & Suites Penn Yan Finger Lakes Region. The Torrey Ridge Winery and Prejean Winery are some more frequented attractions to experience for those visiting Penn Yan. 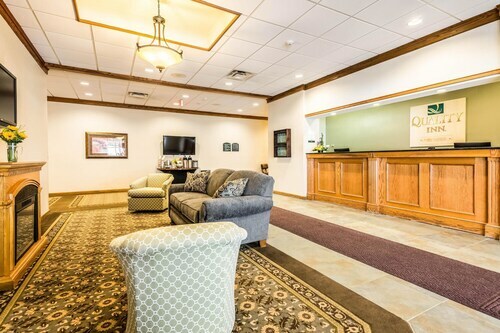 If you're flying through Tompkins Regional Airport and plan to find a Travelocity-listed room in the area, consider The Statler Hotel at Cornell University or Courtyard by Marriott Ithaca Airport/University. A wonderful place to stay. Clean rooms friendly amd helpful staff. Delicious breakfast options with plenty of seating available. Definitely recommend staying here if you are visiting Penn Yan. Very thin walls. I was awoken by the next room's hour long conversation. I could hear them as if we were in the same room. Excellent check in experience. Very new and clean bathroom. For what we were doing in the Waterloo/Seneca Falls area the property is well located. Staff was very nice. Breakfast had decent choices. The only issue we had was the heater. We turned it as low as it would go (60F) and it still felt much warmer than 60 in the room. The heater was turning on, so it wasn’t heat coming from elsewhere. We will tell the person at checkout. Sunrise On Harmony - Pet-friendly w/ hot Tub, Kayaks, AC and More! Beautiful Home on Seneca Lake, Views Leave you Speechless! This Cozy Slice Of Heaven Will Make You Never Want To Leave! Mariner's Cove - A Spectacular Seneca Lakefront Retreat for Wine Lovers!